Photos by Linda May 2010. Hosta plants are herbaceous perennials. 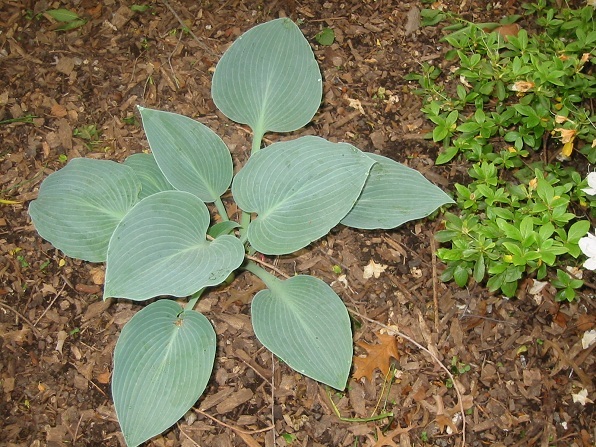 The most natural way to group hosta plants is by leaf-color. 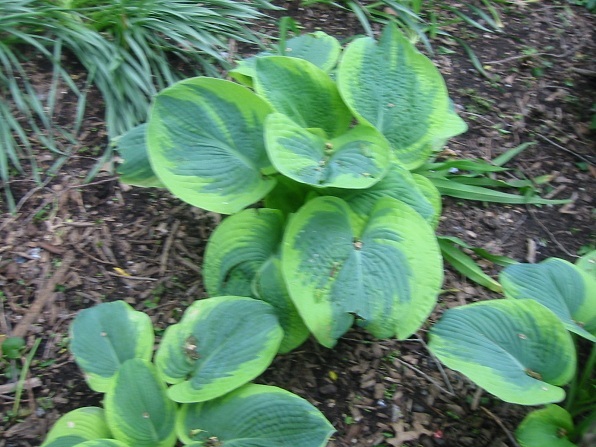 The foliage of hosta plants can be blue, gold (yellow), or green. Sometimes there’s just enough yellow and green to form chartreuse. In addition to all this variety in color, hosta plants are often variegated. Hostas are usually treated as shade plants, since the colors of their foliage tend to fade if exposed to too much sun. After blooming, cut off the scape (the stalk that bears the bloom). Otherwise, nourishment is wasted, traveling to the seed pods. As the foliage of hostas begins to die back in fall, you should remove it.